The Skyscraper revolution is hitting Manchester. Here is further evidence of the 'revolution', on this occasion it's Far East Consortium and The Co-op who have submitted a planning application to Manchester City Council for Angel Meadow, a £235m residential development of 756 apartments in four buildings, forming part of the emerging NOMA neighborhood. It's more good news, further foreign investment and exciting JV's in the City, fingers crossed it progresses! Hong Kong-listed FEC was selected by The Co-op and Manchester Place as development partner for the scheme in summer last year and it is the first project in Manchester for the international property developer. 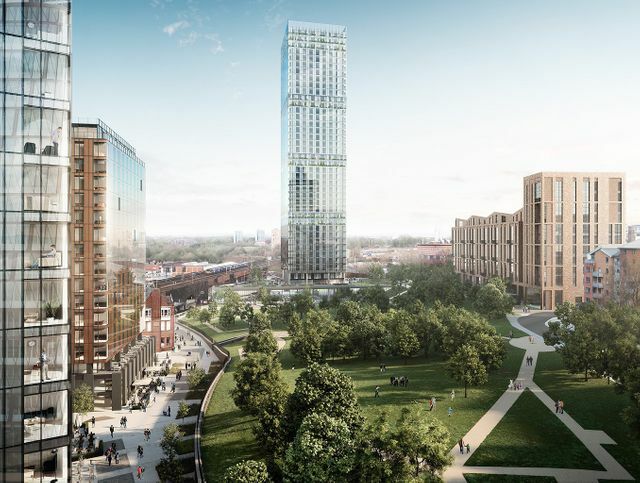 Last month FEC was announced as investor partner with Manchester City Council for the Northern Gateway project nearby, a large housing programme for Collyhurst and Lower Irk Valley.